A recent order of the North Carolina Supreme Court permits out-of-state lawyers to temporarily provide pro bono legal services to low- to moderate-income North Carolina residents affected by Hurricane Florence. ABA Free Legal Answers, an online portal that remotely connects low-income individuals with pro bono lawyers, adapted its North Carolina site to accept out-of-state volunteer registrations. After following the instructions at this link, volunteer attorneys can log in and provide answers 24/7/365 at their convenience. The North Carolina Bar Association is soliciting attorney volunteers for its Disaster Legal Services Hotline. Lawyers can sign up for client referrals and phone intake here. While the effects in Virginia were not as severe as in North Carolina, the Virginia State Bar opened its emergency legal services hotline in September, and Virginia Free Legal Answers is accepting eligible Virginians affected by natural disasters in the wake of Florence. 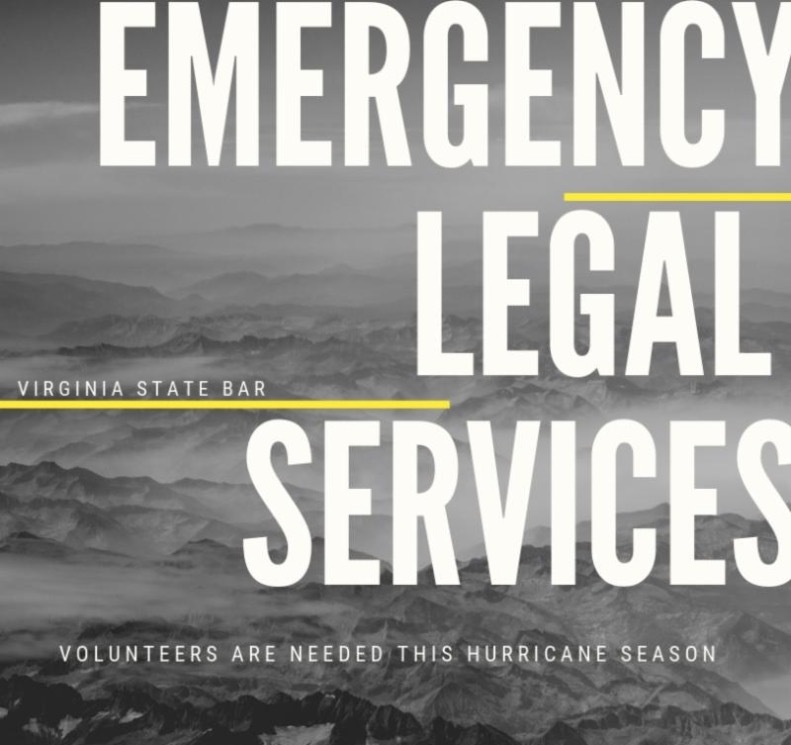 Volunteer Virginia lawyers can also sign up to help natural disaster victims in the commonwealth. Virginia attorneys are encouraged to register to help both Virginians and North Carolina residents – and to use resources provided by the Virginia State Bar and the North Carolina Bar Association.